When nothing but the best garage door repair company in Sanger, Texas will do, put your trust in Action Garage Door Repair. Our team offers fast, reliable service to get your garage door back up and working properly as soon as possible. And, when repairs are not possible, we offer a line of high-quality, reliable garage doors designed to provide you with exceptional durability. Action Garage Door has an A+ rating with the Better Business Bureau and has had it since 1992. To stand out, the company offers top-of-the-line garage door and repair services with emergency service available in as little as an hour. We also stand out because we ensure each one of our customers has the best warranties available on the garage doors they purchase. If your garage door is no longer functioning well, it could become a safety concern. Don’t put your family at risk or damage your home. Call us as soon as there is a problem for fast, friendly, and quality workmanship. Expect competitively low pricing on all repair, service calls, and new garage doors in Sanger. Our team is fully insured to protect you. We offer all top name-brand garage doors that you know and love. Ask us about our priority service when you simply cannot wait to get help! And, we have only well-trained and experienced garage door technicians, all background checked for your safety. Whether you need garage door repair services, your annual checkup to ensure the door is working properly, or a new garage door, residents and businesses in Sanger should give Action Garage Door a call first. We’re happy to provide a written estimate for the work you need when you call us. We’ll also provide a 30-day guarantee to fix any problems that arise from your garage door. Let our professionals come to your home to offer a consultation. 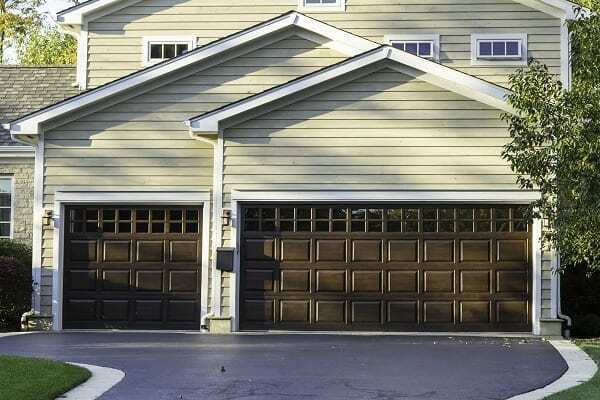 We’re happy to talk to you about each of the garage doors available for your home. Our estimates are free with no obligation to make a purchase. Investing in a new garage door will add value to your home while also providing a safe and secure way to protect it. To get started with your garage door repair, installation, or replacement, contact Action Garage Door in Sanger today and let’s talk about the options available from the garage door repair company that has been caring for customers since 1984. Sanger is home to about 7600 people, making this a small community in this region. The median age of those who live here is 29.5 and about 46.8 percent of the population is married. The median home price is $164,000, and the housing market is on an upward trend in terms of home values and sales. The median household income here is $54,103. Living in Sanger provides residents with many benefits. Out of a base of 100, Sanger’s cost of living is 93.80. Key factors that determine cost of living is Housing. The housing market in this community is growing in value. A studio rental apartment costs about $690 a month and renting a two-bedroom home about $1020. Many of Sanger’s residents commute to work, with only about an 18-minute commute time. Sanger is about 51 miles to the north of Dallas which means it takes most people about an hour to get into the Dallas – Fort Worth area for work or school. A welcoming community with a small-town feel, Sanger provides home buyers with a suburban-like place to live while providing all of the amenities of a much larger city. The community is home to the Sanger Independent School District. And, it sits on Lake Ray Roberts, a newer lake in the state. That provides ample recreational benefits to those who live here. The community has numerous religious organizations as well as many service-oriented businesses. There’s plenty to do including hiking, fishing, biking, and a bit of shopping down the main thoroughfare. The Sanger Area Chamber of Commerce provides a fantastic look at all of the options in things to do and reasons to live in this community. The Kamme Art Gallery and Studio offers tours and a look into the local artist community. Visit Sanger Parks, especially Porter Park for an afternoon stroll. Tech showed up within an hour was courteous and replaced my garage door spring quickly.